Our Safeguarding Policy is sent to all staff and clearly sets out our approach to dealing with safeguarding issues. We also have posters up around the College to remind staff and pupils of our designated safeguarding team. The school ensures that all staff (including temporary, supply, volunteers) renew their safeguarding training annually. This means that their knowledge is fresh and up-to-date in what can be a complex and fast moving area of education. The training makes explicit reference to: the types and signs of abuse (now including Radicalisation, FGM and CSE); how to manage a safeguarding disclosure; their statutory responsibility to refer any concerns. If concerns are raised about the welfare or safety of a child, the designated safeguarding person must give careful consideration as to whether a referral needs to be made to children’s social care. If this course of action is taken the school will usually inform parents, unless there are compelling reasons for not doing so. Once a referral has been made the school works closely with a range of relevant agencies in order to bring about the best outcome for the child. As a school we have a statutory duty to “prevent people from being drawn into terrorism” (Prevent Duty Guidance, July 2015). The risk of radicalisation and extremism in Warwickshire is deemed to be low. However, given the demographics of the local area the greatest threat is posed by Far Right Extremism / Neo-Nazism. Around 65,000 girls in the UK are at risk of Female Genital Mutilation. These girls can be of any age, even babies, and are predominately from East and West Africa. Girls from Somalia, Guinea, Sierra Leone, Djibouti, Egypt, Eritrea and Mali are at a particularly high risk. Pupils are made aware of this issue through their REAL (PSRE) lessons. FGM, which usually takes place during the summer or “cutting season”, is a form of abuse with no religious justification. If a member of staff has been informed that FGM has taken place or observed FGM – there is a mandatory personal duty which requires the individual professional to make the report. The recommended route for doing this is to call 101. However, if a member of staff suspects that FGM has been carried out, or are concerned about the risk, they should follow the Warwickshire's Safeguarding procedures outlines above and in the Safeguarding Policy. You can download a leaflet to read more about this by clicking here. The NSPCC has set up a FGM helpline, which is free, anonymous and 24/7. If you’re worried a child is at risk of, or has had, FGM, call the FGM helpline on: 0800 028 3550 or email fgmhelp@nspcc.org.uk. CSE is a form of sexual abuse where victims are manipulated or forced into taking part in sexual acts. This can either be part of a consensual relationship or in return for attention, gifts, money, alcohol, drugs or any other bribe. Pupils are made aware of these issues through their REAL (PSRE) lessons. Mood swings / being emotionally upset. Poor attendance or a pattern of non-attendance. Change in physical appearance / appear dishevelled. Chatting online to people they have never met. Hanging around with older people. Sexual Transmitted Infections (STIs) / seeking emergency contraception. If a child starts to exhibit, or is exhibiting, any of the behaviours highlighted above please follow the school’s safeguarding procedures. If you feel the child is in immediate danger contact the police. You can find out more by clicking or downloading the leaflets here and here. 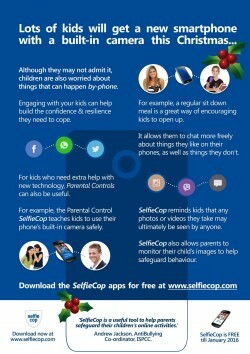 ‘Sexting’ is an increasingly common activity among children and young people, where they share inappropriate or explicit images online or through mobile phones. It can also refer to written messages. Pupils are made aware of these issues through assemblies and specialist talks. 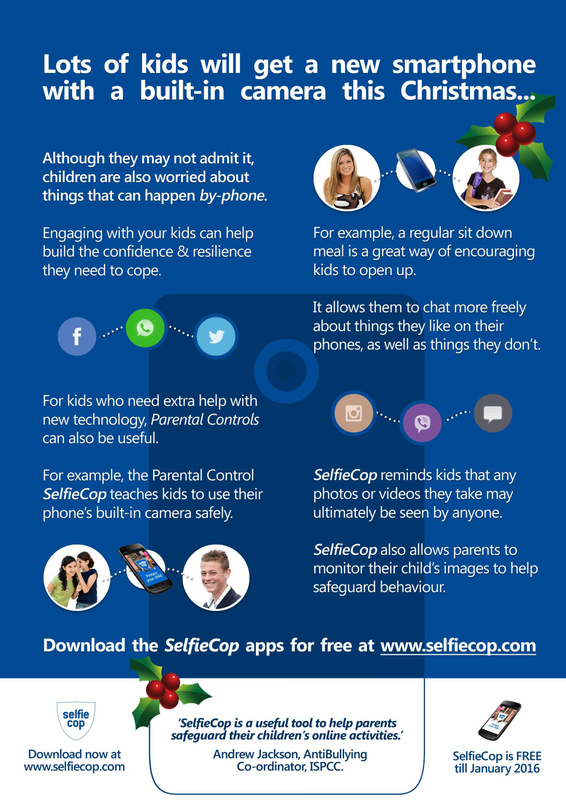 SelfieCop can protect them from ‘Sexting’ – Click for more information.